This is another awesome blogger challenge. This time from Emma A Touch Of Sparkle and Mary at Call me Ginge. These lovely ladies paired together to help bloggers get more colour into their lives. Rainbow Recommendations is a beauty themed challenge which encourages bloggers to talk about a beauty product of the nominated colour. 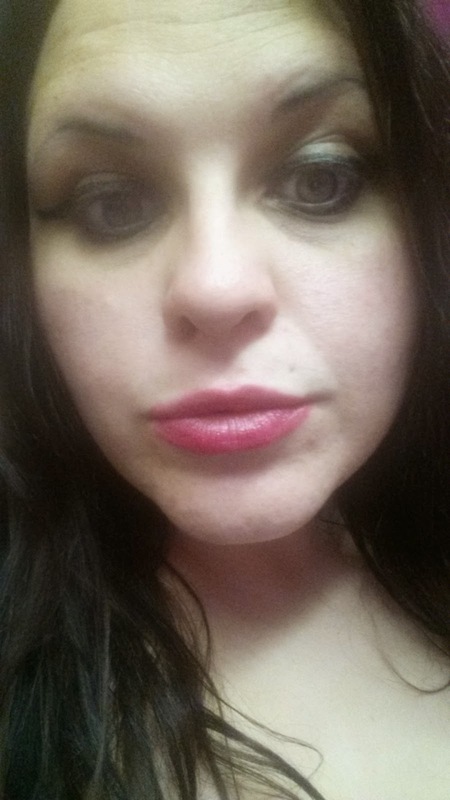 So my favourite pinky red beauty product of the moment has to go to the magic lipstick from Barry M.
When I first heard about it I was amazed that it changed from green to pink. We tried it on a few people and everyone came up slightly different but mostly the result is a pinkish red. Ignore my sleepy face but this is how it comes out for me. It does go darker as it develops though and be warned it does take a bit to get off.